Vacation in style with a luxury lakeside villa at Sheraton Vistana Resort Lake Villas in Lake Buena Vista, Florida. You don't need to overpay for a high-end vacation when you buy or rent a timeshare at this resort through SellMyTimeshareNow.com! Sheraton Vistana Resort is composed of 135 beautifully landscaped acres with a plethora of great activities and amenities for owners and guests. With a Sheraton Vistana Lakes resale or rental, you will have access to seven outdoor pools, eight whirlpools, delectable on-site dining options, and three state-of-the-art fitness centers. The surrounding area has much to be discovered. 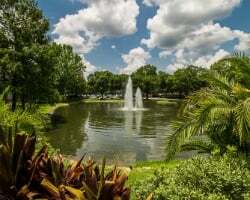 Besides being mere minutes away from the best parks in Orlando, you'll find pristine golf courses, sports venues, museums, and more. Clean, modern accommodations are offered in the form of one- and two-bedroom villas with views of the sparkling lake right outside your window. Plush bedding, granite counter tops, and private balconies make these villas feel very luxurious while still offering plenty of space and convenient amenities for ultimate comfort. Experience all that a Sheraton Vistana timeshare has to offer! Fill out the form on the right or call us today at 1-877-815-4227 for further assistance. Buying a Sheraton Vistana Lakes timeshare on the resale market doesn't mean you are getting a "used" timeshare. You are buying time, and buying this time on the secondary market will save you thousands off the developer price. A Sheraton managed and Starwood owned resort ensures your stay will be filled with great amenities and top-notch service. Sheraton Vistana Resort Lakes Villas is also part of the new Vistana Signature Experiences, a spin-off of Starwood Vacation Ownership. Browsing our inventory of Sheraton Vistana Resort Lakes timeshares, you will be able to purchase you choice of a deeded fixed or floating week with annual or biennial usage. These weeks reside within the Gold Plus and Platinum seasons, as this is a spectacular property to visit year-round. 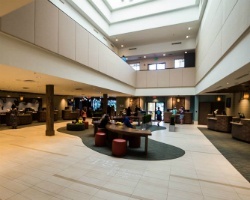 The Sheraton Vistana Resort is owned by the Starwood Vacation Ownership brand. 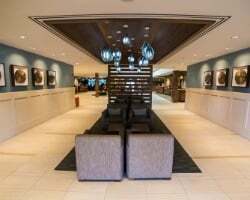 While Sheraton Vistana Resort is a voluntary resort and not eligible for StarOptions, you still will have plenty of options for exchanging your timeshare week through external exchange companies. Sheraton Vistana Resort Lakes Villas owners have the option of purchasing a membership to RCI and/or Interval International. Both timeshare exchange companies offer thousands of resorts all over the world. Sheraton Vistana Resort Lakes Villas is an Interval International Elite Resort and has an RCI Gold Crown rating, meaning you will have a very high trading power in either exchange company. This allows you to easily travel to virtually any resort or destination you can think of. This resort offers so much to delight kids and adults alike. Take advantage of an on-site scuba diving lesson, prepare dinners in your villa with the help of the marketplace, play a round of tennis with the family, or let your kids participate in the various crafts and activities offered daily. If you are 18 plus, you can hop aboard a Victory Casino Cruise with gaming, food, and great views. 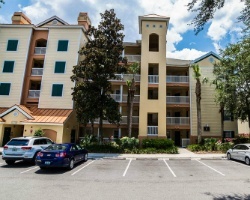 Nearby you can take the family to SeaWorld, Universal Studios, or any Florida Disney park, play a round of golf at Falcon's Fire or Hawk's Landing, catch a Tampa Bay Buccaneers baseball game, or visit the Kennedy Space Center. No longer using your timeshare ownership? Advertise it to interested vacations across the globe. Already Own at Sheraton Vistana Lakes Villas?